Olivier Sibony is a writer, educator and consultant specialising in strategy, strategic decision making and the organisation of decision processes. Olivier spent 25 years as a consultant, partner and director in the Paris, New York and Brussels offices of McKinsey & Company. Among other roles, he served as global leader of the Corporate Strategy Practice, as a European leader of the Consumer sector, and as a member of the Firm’s global Partner Review Committee. He has extensive experience in Consumer Packaged Goods, Luxury Goods, Retail, and Private Equity. 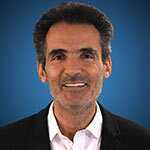 As an affiliate professor at HEC Paris, Olivier teaches Business Strategy and Coporate Strategy. He’s also an associate fellow of Saïd Business School, a guest lecturer at London Business School and is a frequent speaker on the topic of strategic decision making. Olivier’s primary research interests include the effect of heuristics and biases in strategic decision making and procedures to improve the quality of decisions. He has authored many articles in recent years, including “Before You Make That Big Decision” (with Daniel Kahneman and Dan Lovallo), published in Harvard Business Review and reprinted as cover feature of HBR’s selection of all-time “10 Must-Reads on Making Smart Decisions”. His book Réapprendre à Décider, published in French in January 2015, topped amazon.fr’s list of best-selling strategy books.